Aloft Rogers-Bentonville is just minutes away from Wal-Mart's world headquarters and many other corporate offices. Take a break from business during your stay and get out and explore. Shop at Pinnacle Hills Promenade, tour the Crystal Bridges-Museum of American Art, or attend a baseball game at Arvest Ballpark. The possibilities are endless! 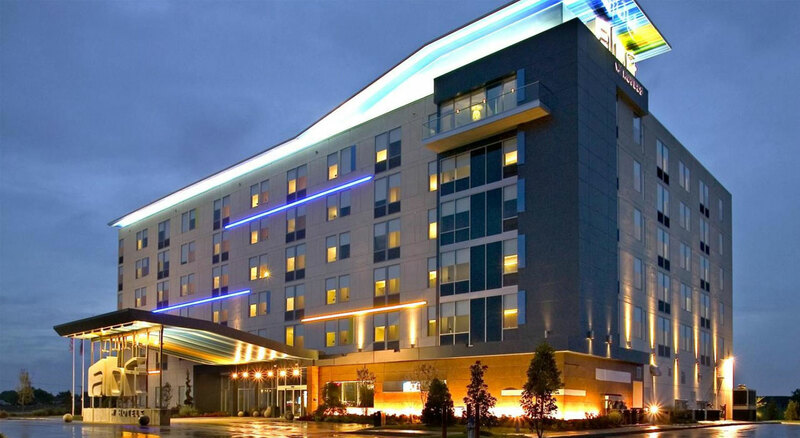 Our Bentonville, AR hotel features provide you with a fresh travel alternative. Spend time in our energizing public spaces, enjoy a specialty cocktail from W XYZ® bar, surf the Internet with our Fast & free WiFi in Re:mixSM lounge, and more. Our amazing features and amenities will allow you to customize your travel experience.